Mr. Walter has been practicing with Jubelirer, Pass & Intrieri for 35 years, after receiving his B.A. in 1972 from Rutgers University and his J.D. in 1976 from Duquesne University School of Law. Mr. Walter’s practice is concentrated in the representation of injured individuals. This includes workers’ compensation and civil litigation involving automobile collisions, medical malpractice, premises liability and defective products. Mr. Walter is a member of the Allegheny County and Pennsylvania Bar Associations, and the American Association for Justice, and he is a sustaining member of the Pennsylvania Association for Justice. 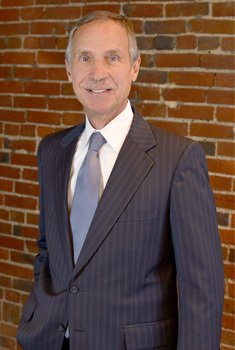 Mr. Walter is a former chairperson of the Workers’ Compensation Section of the Allegheny County Bar Association, and has lectured in the area of workers’ compensation. He is admitted to practice before the United States Supreme Court and the United States Court of Appeals for the Third Circuit, and has litigated cases at all levels of the Pennsylvania court system. Mr. Walter has been AV Preeminent-rated by Martindale-Hubbell, and has been selected for inclusion in The Best Lawyers in America and for many years recognized as one of Pittsburgh’s Top Rated Lawyers in the area of workers’ compensation.